The Law on Access to Information must regulate what information can be accessed and what information may not be accessed, otherwise, it would not meet people’s requirements on access to information, National Assembly (NA) Chairman Nguyen Sinh Hung said at the 44th session of the NA Standing Committee that convened on January 14 in Hanoi. As provided in the draft law, every citizen should have equal access to information. Information must be provided promptly, accurately, sufficiently and transparently. The State has to guarantee the right of access to information for people with disabilities and people in deep-lying and remote areas. “The draft is null and void. The current decrees and ordinances regulate in detail what information can be accessed. Why does this law not include these issues?”, the NA leader said, asking the law-drafting committee to adjust the draft law by March. He said the law would not be passed at the next NA session if the issues are not clarified. Chairman of NA Law Committee Phan Trung Ly said his Committee had the idea to broaden the range of information to be provided. This would mean state agencies would be responsible for providing not only information they create but also information they withhold during the performance of their functions and tasks. This would guarantee citizens’ right of access to information. According to the Law Committee, not only state agencies but also organizations assigned to implement large projects involving activities related to citizens’ rights, public non-business units and state economic groups would disclose information to citizens so that they could protect their lawful rights and interests and lawful interests of the State. Minister of Justice Ha Hung Cuong said his Ministry would review information which needs to be disclosed to make it more specific. 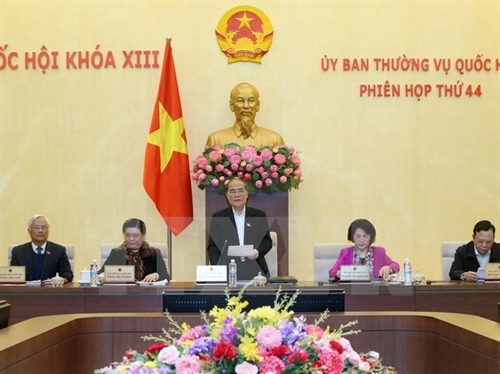 On the opening day of this three-day session, lawmakers discussed the revised draft Law on Conclusion of, Accession to, and Implementation of Treaties, and adopted the resolution on the election day for the 14th Legislature and People’s Councils at all levels for the 2016-21 tenure.